A town in Poland is in the news right now for finally defeating the giant Jesus statue in Rio with a significantly larger Jesus of their own. Who has a crown. In your face, Rio! "I'm watching you, little man." 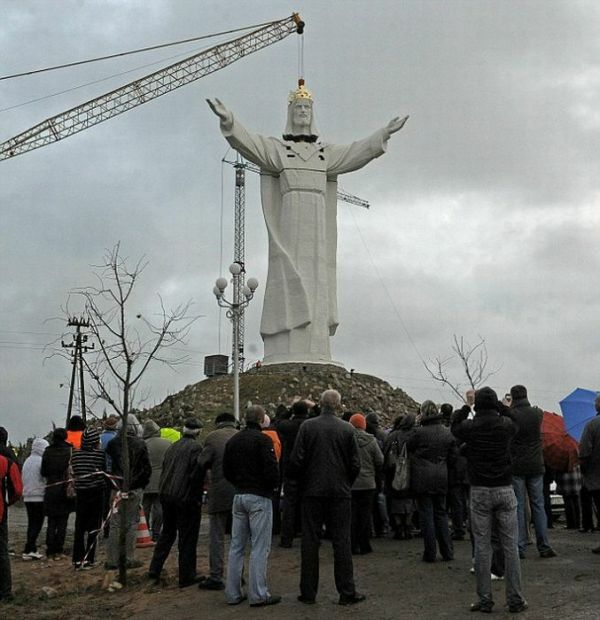 Jesus cranes his neck to get a better view. Now that's a Jesus anyone could be proud of. 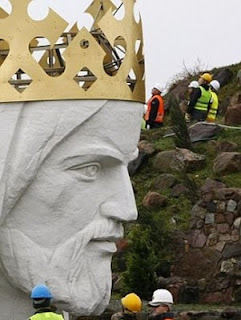 Now that's one GINORMOUS JESUS! We need one here in the good ol' U.S. of A. But bigger! That's right, lads. Time for a GIANT JESUS WE CAN BE PROUD OF right here in America! We could save money by retrofitting the statue of Liberty. We could just make a Jesus face and interchange it with lady liberty's face when we want to impress the world!